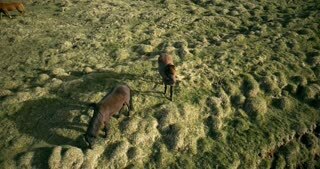 Aerial view of the wild horses grazing on the lava field. 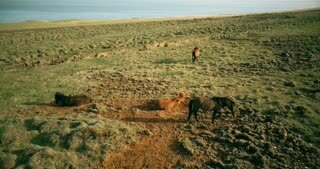 Animal rolls in the sand on the shore of the sea. 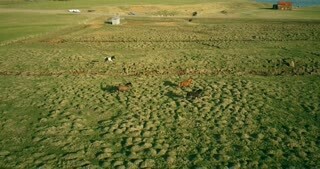 Copter flying over the wild horses grazing on the lava field. 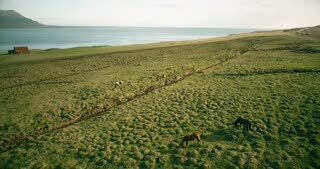 Animal rolls in the sand on the shore of the sea. 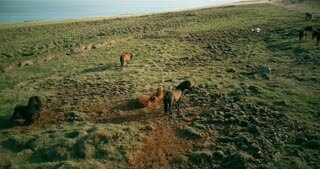 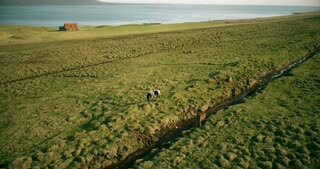 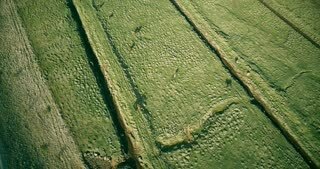 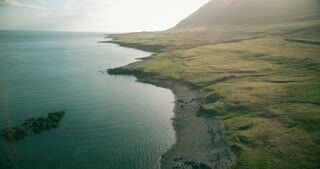 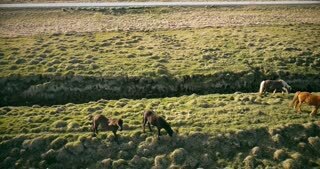 Aerial view of the green lava fields and wild horses in Iceland. 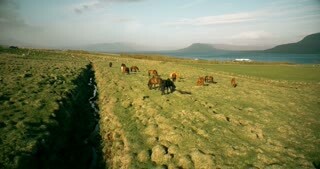 Beautiful animals grazing in the meadow.